Pant and Dhoni finished off the chase for India at Auckland. 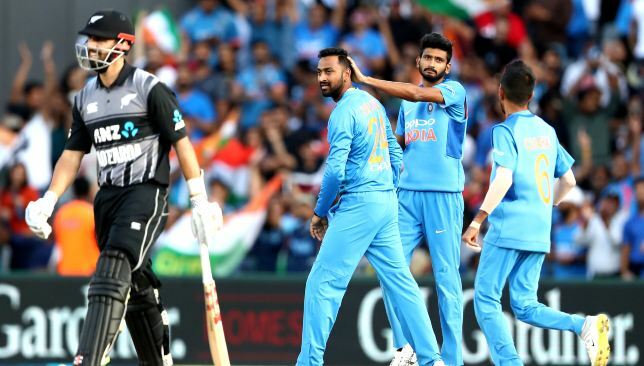 After tasting a crushing defeat in the series opener, India bounced back in style against New Zealand with a comprehensive seven-wicket win in the second T20 at Auckland. In front of a packed house at Eden Park, the visitors chased down New Zealand’s total of 158-8 with seven balls to spare to restore parity in the three-match series at 1-1. 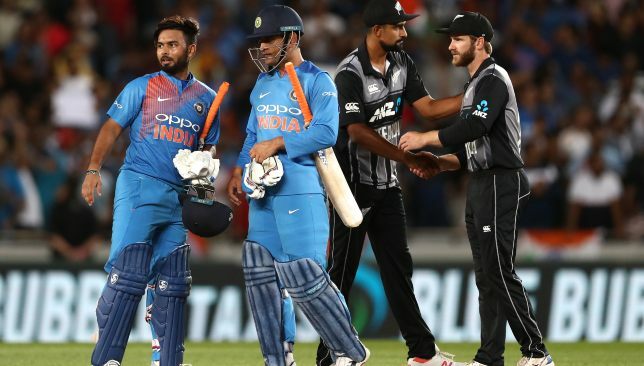 At the end of what was India’s first T20 win on New Zealand soil, we take a look at the key talking points from the clash. After conceding 85 runs in eight overs between them in the first T20, there were question marks over Krunal Pandya and Khaleel Ahmed’s spots in the team. In the end, stand-in skipper Rohit Sharma persisted with the duo at Auckland and his faith was repaid manifolds with the two ending up being the chief architects of India’s victory. 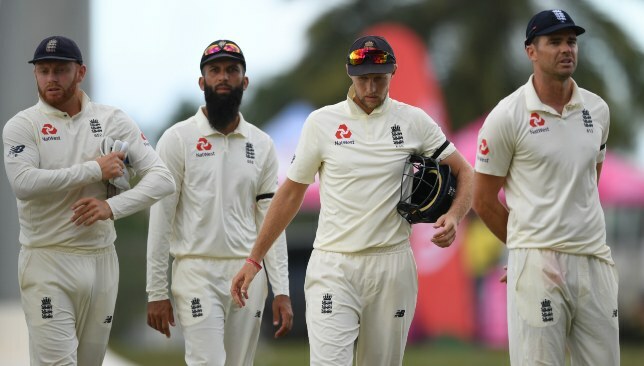 Krunal was entrusted to bowl in the powerplay and the left-arm spinner struck twice in the sixth over to send back the dangerous Colin Munro and Daryl Mitchell. In his next over, Pandya landed the big fish in the form of Kane Williamson by trapping the Kiwi skipper plumb in front of the wickets. While Krunal broke the back of New Zealand’s batting, it was Khaleel who shone at the death with the scalps of Mitchell Santner and Tim Southee. The left-arm pacer was in his elements this time, castling the stumps of both the tail-enders to cap off a fine spell. Together, the duo only conceded 55 runs from their eight overs, a major improvement on the Wellington showing. A fine comeback by Krunal and Khaleel. The second T20 was not without controversy with Krunal’s dismissal of Mitchell raising plenty of eyebrows. Having just dismissed Munro three deliveries earlier, Pandya struck the pads of Mitchell and immediately went up in appeal. The on-field umpire raised the dreaded finger but Mitchell wasted no time in calling for a DRS review. 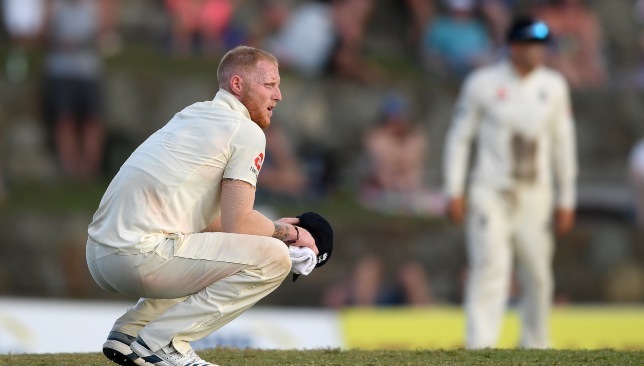 The Kiwi batsman was confident that he had got an inside-edge before being struck on the pads and Hotspot showed a clear mark on Mitchell’s bat. 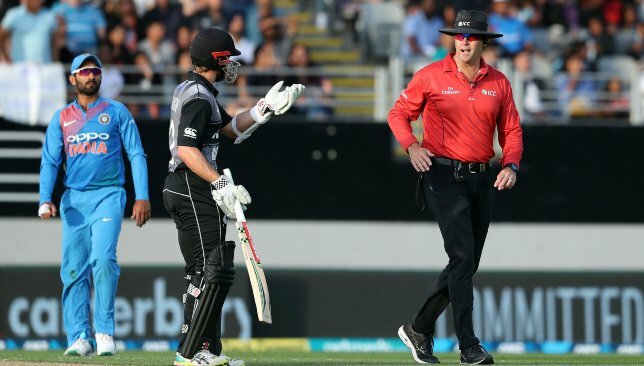 However, the other replay using Snicko did no show any spike when the ball passed the bat, leading the third-umpire to go with the on-field decision. 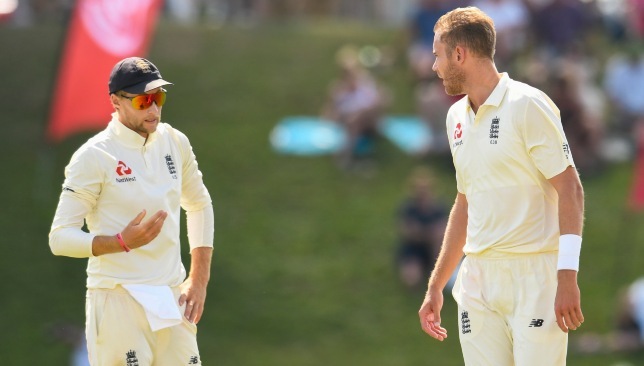 As Williamson stood in disbelief at the other end, an exasperated Mitchell walked up to Rohit to protest the decision but the India skipper chose not to withdraw the appeal. In the end, Mitchell had no option but to make the long walk back to the pavilion with the frailties of the DRS technology once again exposed. Skipper Rohit Sharma ensured India did not lose their way in the pursuit of a modest target. 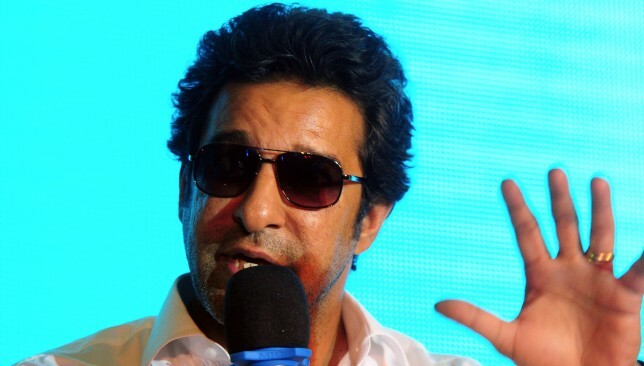 The India opening batsman struck a his 16th T20I half-century, taking only 28 deliveries to get to the mark before his innings was brought to an end by Ish Sodhi. 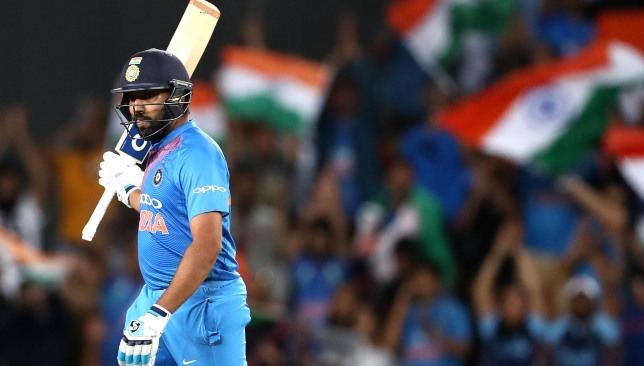 In the process of getting to his fifty, Rohit overtook Martin Guptill to become the highest run-scorer in T20I cricket. The right-hander now has 2,228 runs from 84 innings to his name compared to Guptill who has 2,272 runs from 10 fewer innings. By the time Rohit was dismissed, India had already racked up 79 runs in nine overs and it was no surprise then that the visitors coasted to victory with Shikhar Dhawan and Rishabh Pant chipping in with important contributions. A new T20I milestone for Rohit Sharma. 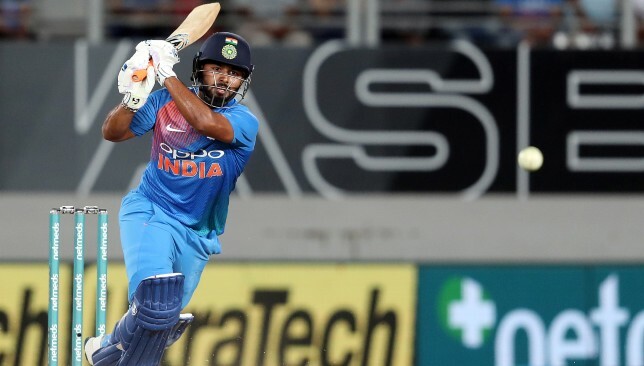 The first T20 had been a disappointing one for most of India’s batsmen including Rishabh Pant who scored just four runs. 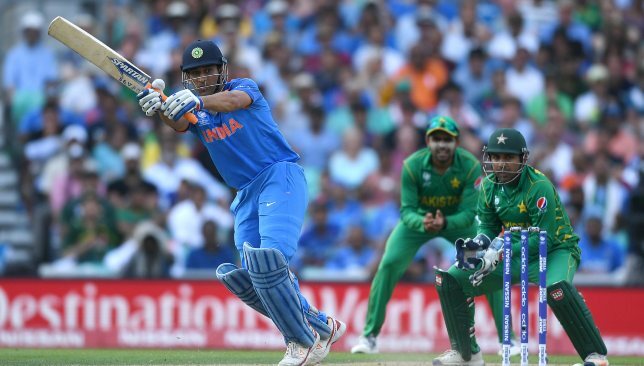 On Friday, with veteran MS Dhoni watching from the other end, the youngster showed glimpses of his finishing prowess with a fine unbeaten 28-ball 40 to help India cross the finish line. With India’s openers having set things up nicely, Pant started in explosive fashion with some trademark hits to the fence. 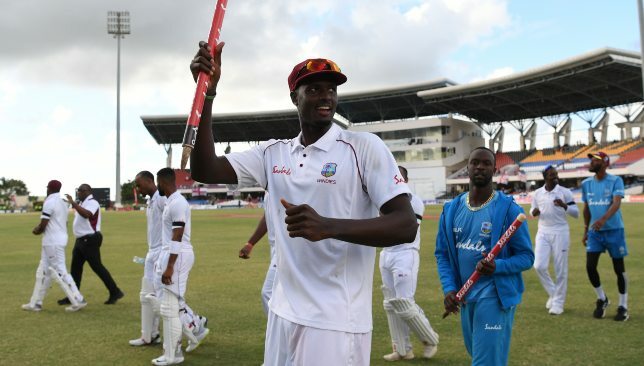 While his hitting powers have never been in doubt, the young man also showed that he can keep a calm head when it comes to finishing off a run chase. Once Vijay Shankar was dismissed and Dhoni walked into bat, Pant showed a much more mature head by milking singles and doubles to keep the runs ticking nicely. It was almost as if the youngster was trying to prove that he can take over the mantle from Dhoni. With still more than three months to go for the World Cup in England, Pant’s innings will definitely give the Indian selectors something to think about. Rishabh Pant showed his class with the bat.